With Princess you won’t just see Alaska, you’ll feel it, with unique, one of a kind experiences. Our lodges feature a wide array of opportunities to get out and explore. Each lodge has a tour desk where all varieties of excursion are available. Our Alaska trip planner experts can tailor your experience to be what you want it to be. You can walk on a glacier, fly around Denali, ride horses in the backcountry or just go for a leisurely walk around the grounds of the lodge. The enrichment goes further than optional tours. Some lodges feature daily lectures from Rangers featuring the geology, wildlife and native culture pertaining to the area. Our lodges and railcars also feature Signature Alaskan Cuisine carefully chosen to reflect the distinct regional flare of Alaskan food. Our partnerships with local businesses and tour operators uniquely position us to offer an authentic Alaskan experience you’ll never forget. 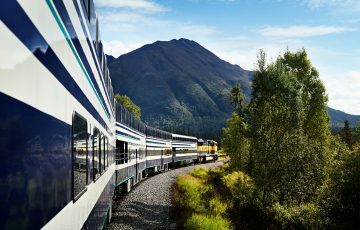 Traveling the Alaska Railroad aboard luxury railcars is a carefree way to make every mile count. 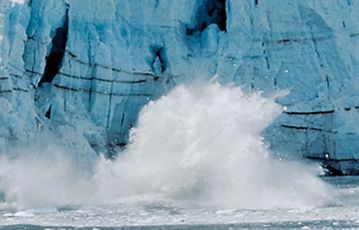 Alaska travel isn't complete until you've witnessed the glittering majesty of an Alaskan glacier. 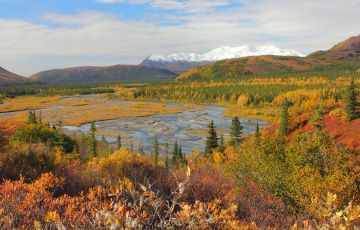 Alaska's climate is diverse and can range from sunny temperatures in the 80's to freezing temperatures at night. 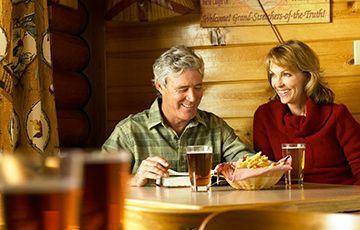 Princess Alaska lodges feature cuisine carefully chosen to reflect the distinct regional flare of Alaskan food.